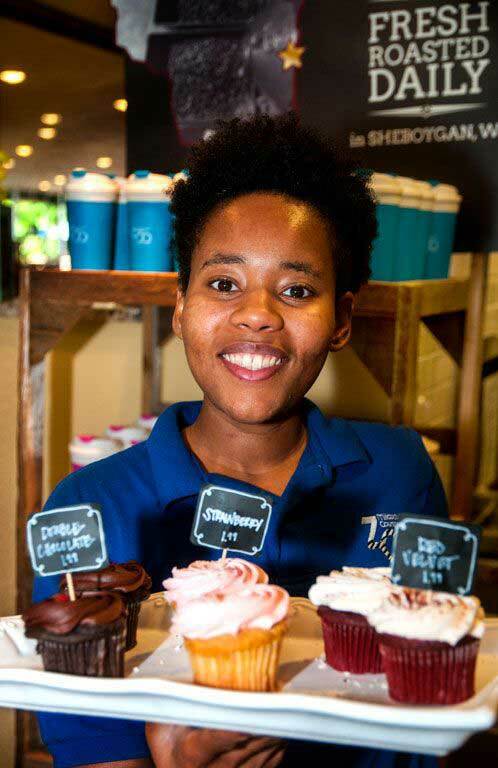 Located just inside the U.S. Bank Gathering Place, the new menu at our Coffee & Snack Shop now offer visitors a variety of premium coffees, freshly made bakery and salads, flavored popcorn and chocolates. The best part about our new menu is that all products are Wisconsin-made! 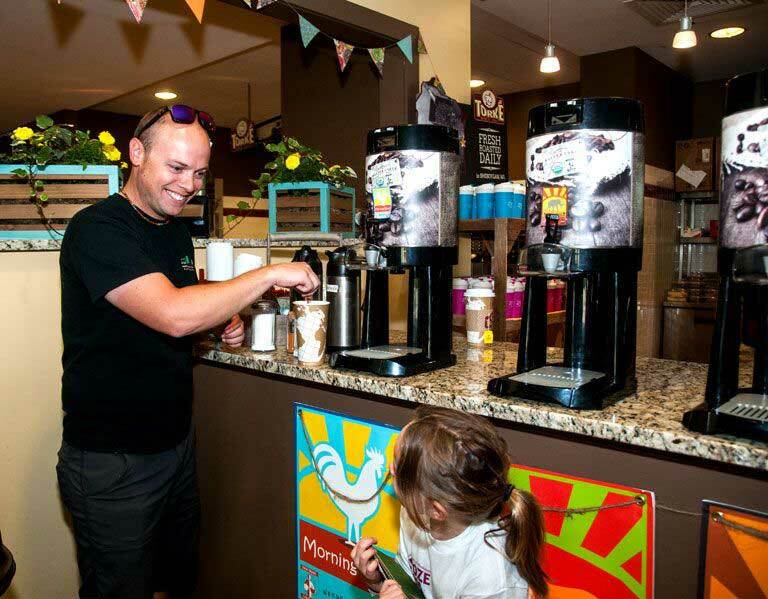 Morning Blend, Sumatra, and Ethiopian, USDA organic, Certified Fairtrade coffee by Weeden Creek Farms Coffee, Sheboygan, will be featured. 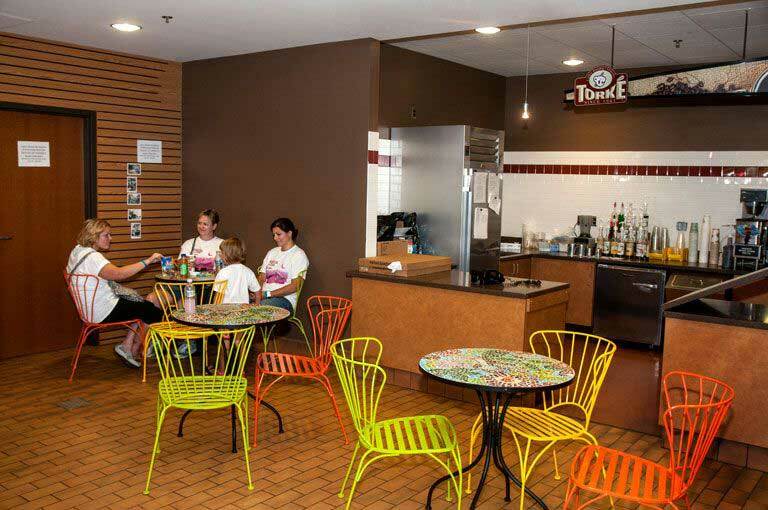 Six different varieties of popcorn and individual chocolates from End of the Trail Candy, Waupun, will provide delicious snacks. Salted caramels and chocolates by Buddy Squirrel, St. Francis, will help satisfy the discerning sweet tooth. Muffins, breakfast breads and cinnamon rolls will be provided by Papa’s Bakery, Oak Creek, who will deliver daily in a bio-fueled vehicle. The Zoo will provide freshly-made pasta and summer salads including a southwestern Cobb salad, a spinach with feta and strawberries salad and a salad featuring Wisconsin cranberries. 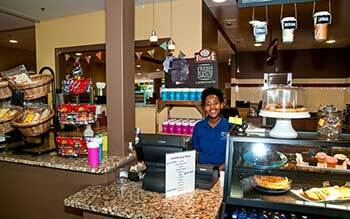 Visit our Coffee & Snack Shop daily, in the U.S. Bank Gathering Place.